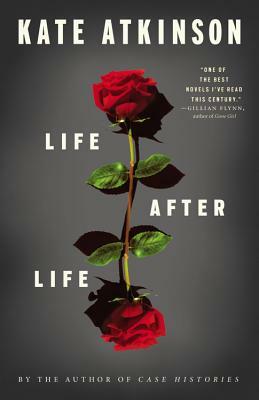 Guys, Kate Atkinson's Life After Life is on sale today. Stop what you're doing and go buy it. Right. Now. This is historical fiction in its most imaginative form, focusing on Ursula Todd as she dies and lives and dies and lives and dies and lives and on again, leading up to and eventually through World War II. It is a fascinating study of history, of what it means to live and to die, and of the consequences of our actions. Atkinson has given us a story that is gripping and compelling and complex and confusing and enlightening all rolled up into one finely crafted novel. Don't miss it. AH I TOTALLY WENT OUT TO BUY THIS ONE YESTERDAY AND NOW I CAN'T WAIT TO GET STARTED! It's way more of a brick than I thought it was, though. Intimidating. It is a brick, but it goes really fast. Partially because the story is just so captivating, and partially because there are a lot of chapter breaks. Looking forward to getting started with this one soon. I hope you enjoy it! I was totally sucked in.